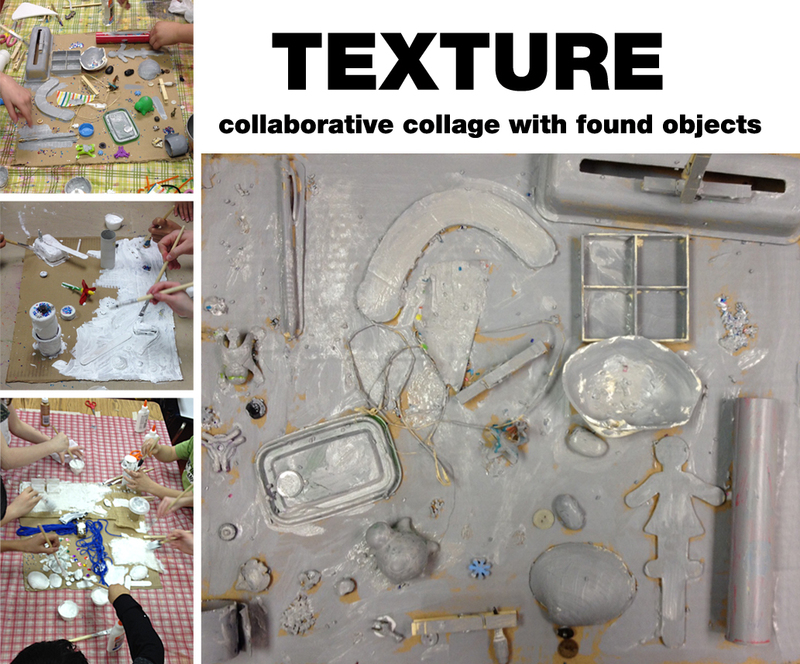 Texture and collaborative art project based on Louise Nevelson. It was one of the most fun and (surprisingly) quiet activities. We talked about different textures and then went through a table filled with collected treasures to find the ones kids liked. They worked in groups of 3-4 kids. They glued all of the stuff they wanted onto a big piece of cardboard and then painted over it with white or gray acrylics. 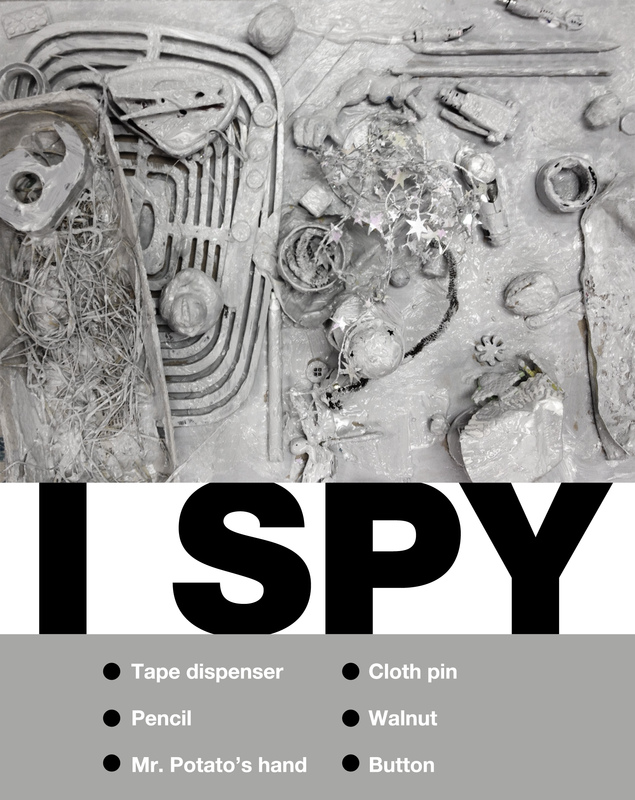 This entry was posted in Art Projects and tagged after, art, ArTree, class, collage, elements, i-spy, kids, louise, monochromatic, nevelson, school, texture. Bookmark the permalink.